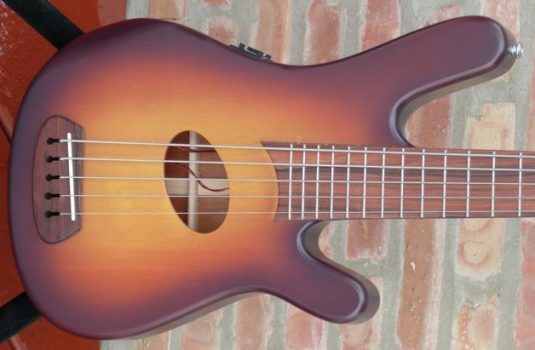 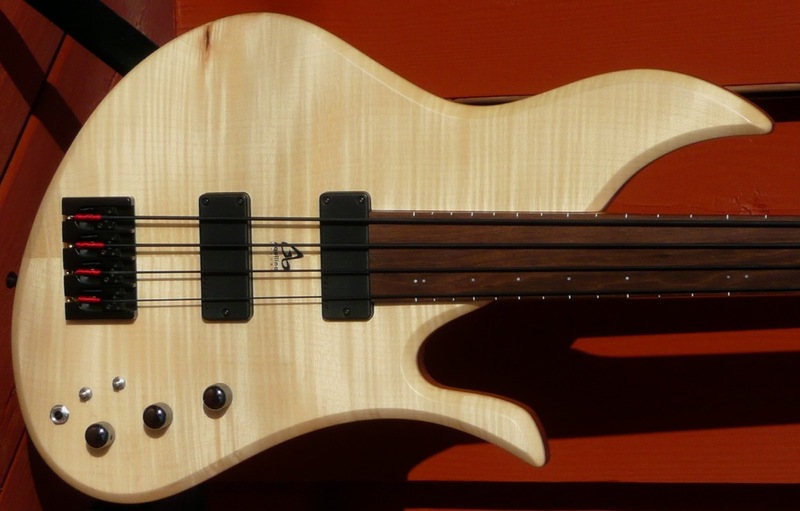 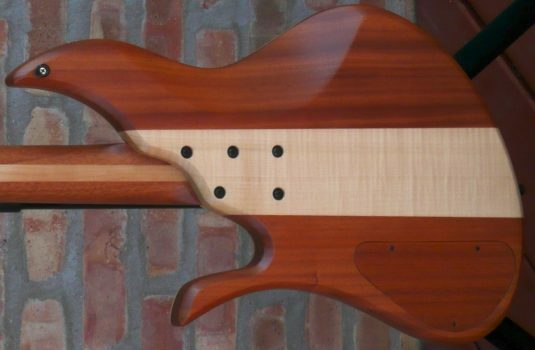 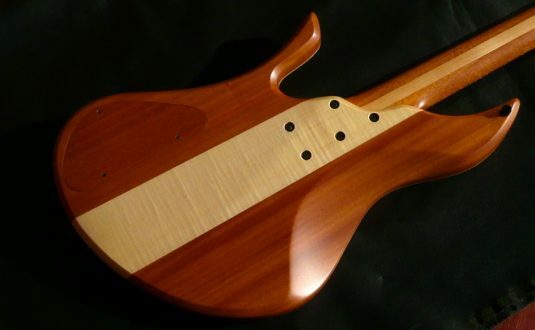 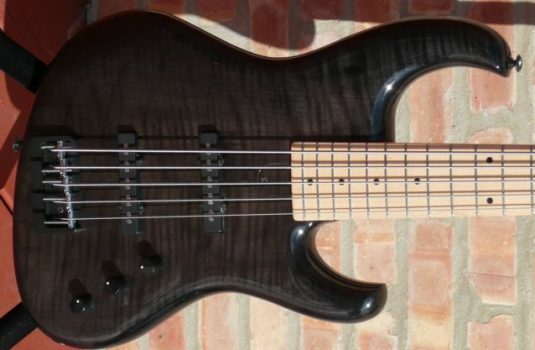 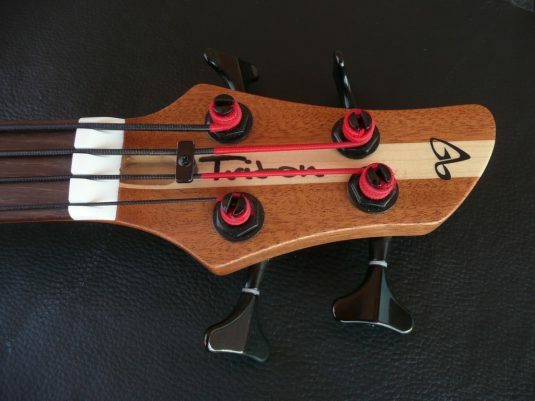 Another of our initial trio of basses from French luthier, Sebastien Aquilina – a FRETLESS 4 ! You may have heard me say this before, but every bassist ought to own a fretless. 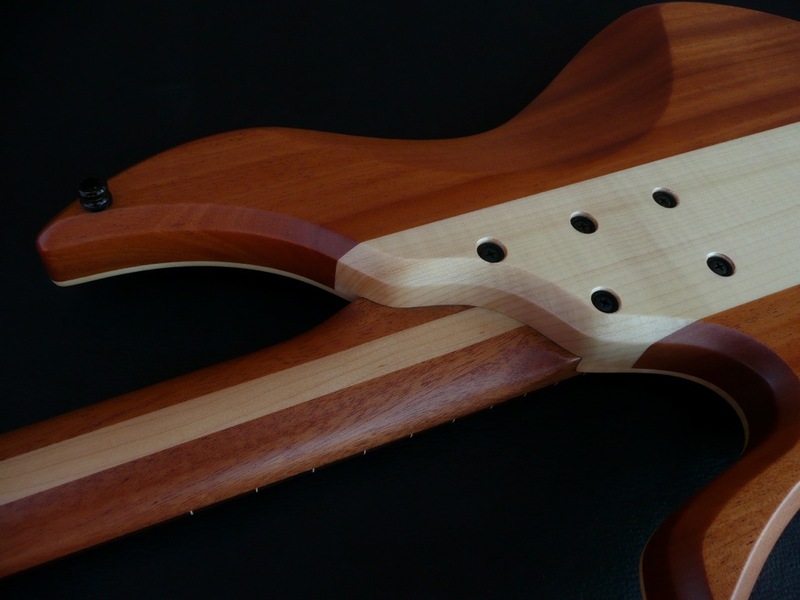 How about you – ready to step up ? 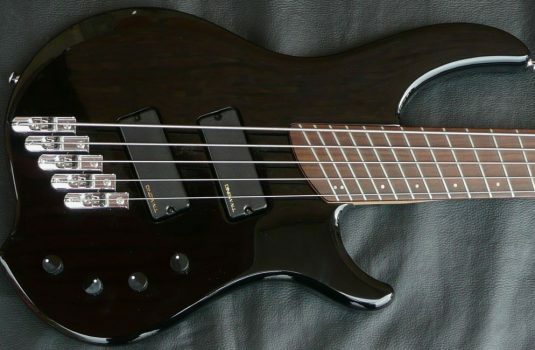 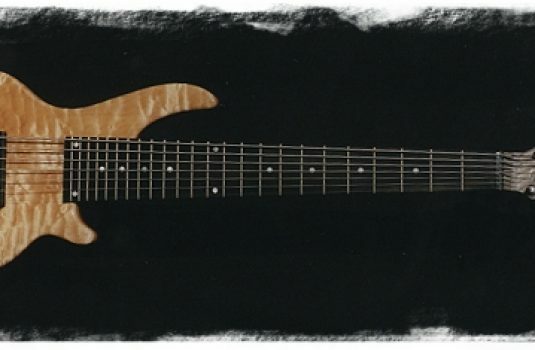 This bass sings sweet , plays effortlessly , the fret markers are a big help to intonation and they look classy.